This was my first time celebrate a new year eve on roof top at Wisma Nusantara's building. 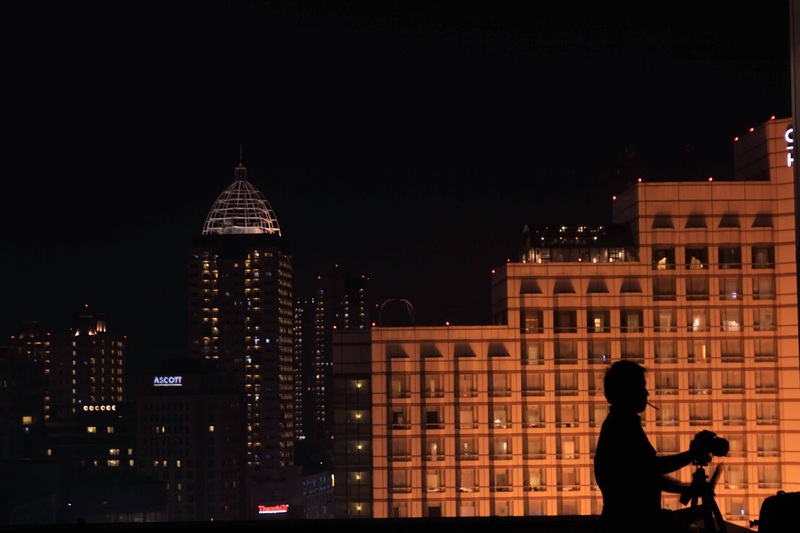 from 23rd floor, we could saw Bundaran hotel Indonesia, the down town Jakarta. 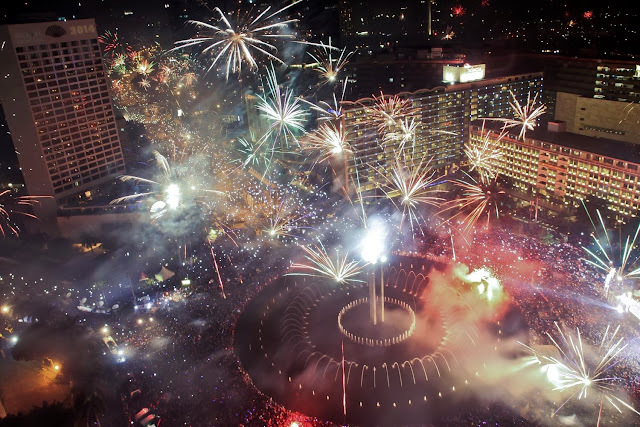 Bundaran HI is one of place in Jakarta to celebrated a new year eve, beside monumen nasional (monas), and Taman impian Jaya ancol. 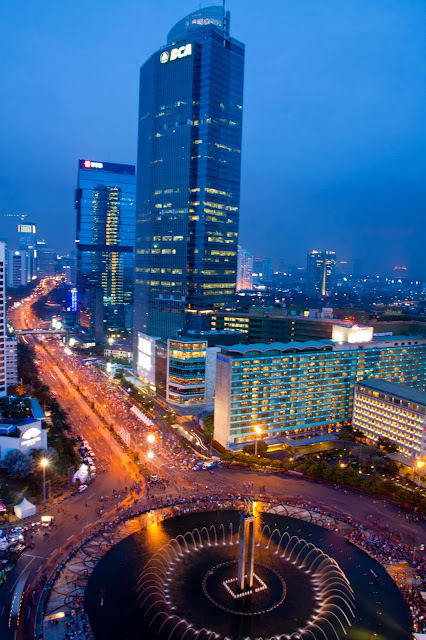 From Bundaran HI till Monas, there were a huge stages full with entertainment. 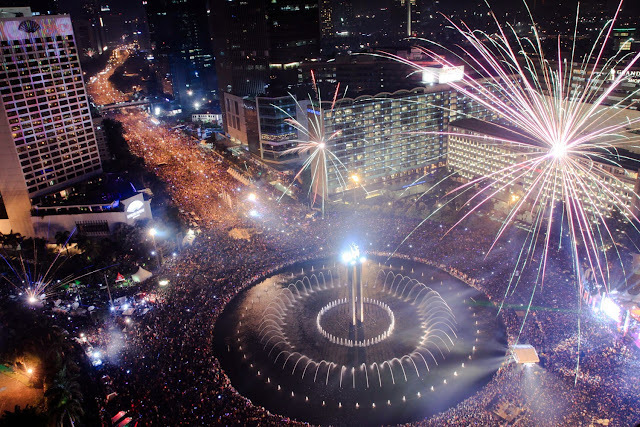 People came from all of area in Jakarta and other city to celebrated a new year eve here. a Man with cigarette and camera is my husband. 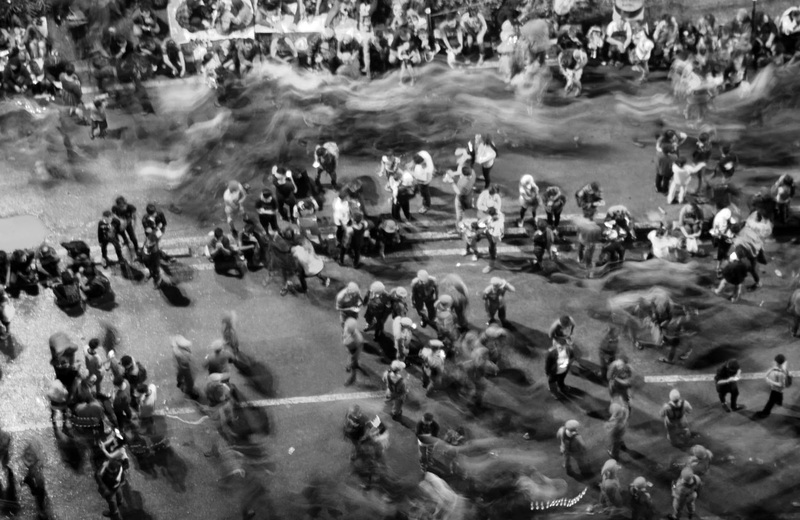 People came to Bundaran HI since in the evening. The police closed all the street to down town, include border for bus, car and motorcycle. Transportation to access to this area are train and bus transjakarta.